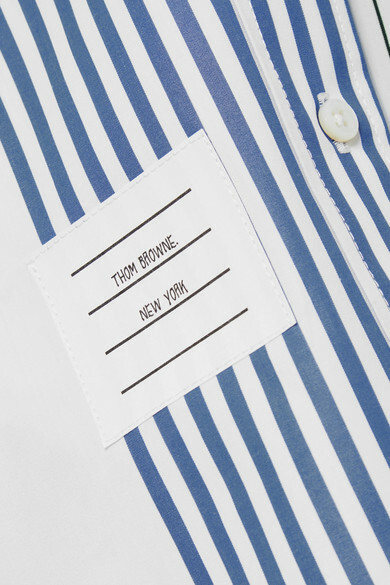 Prior to starting his own label, Thom Browne worked closely with Ralph Lauren, and the influence can be seen in the brand's impeccable shirting. 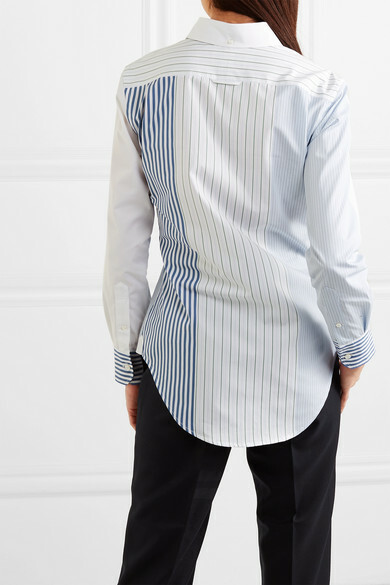 This cotton-poplin design has contrasting striped panels but is still smart enough for the office. 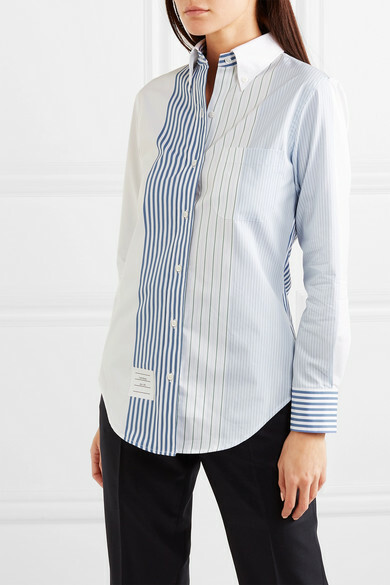 Team it with a pair of tailored pants when you're heading to work. 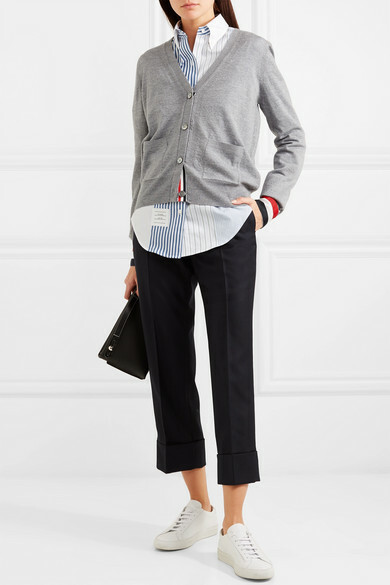 Shown here with: Thom Browne Cardigan, Loewe Shoulder bag, Common Projects Sneakers.